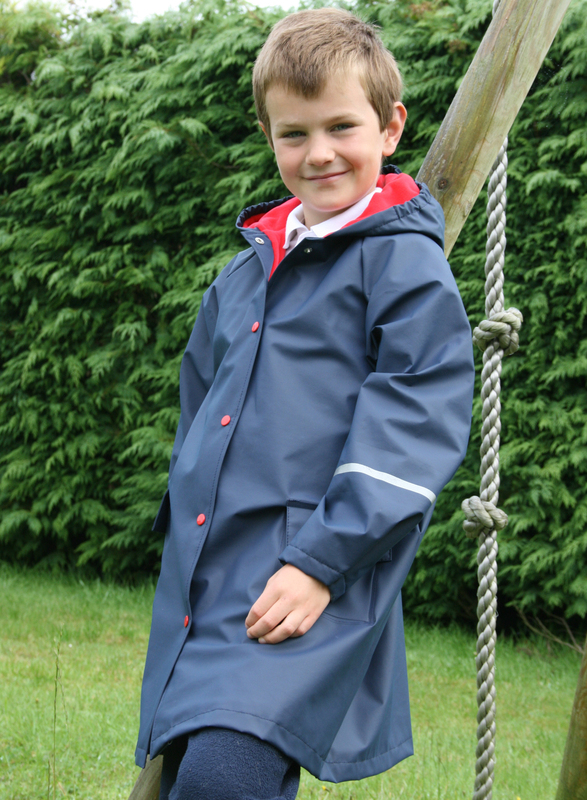 Our chief PuddleDucks model – through the years! 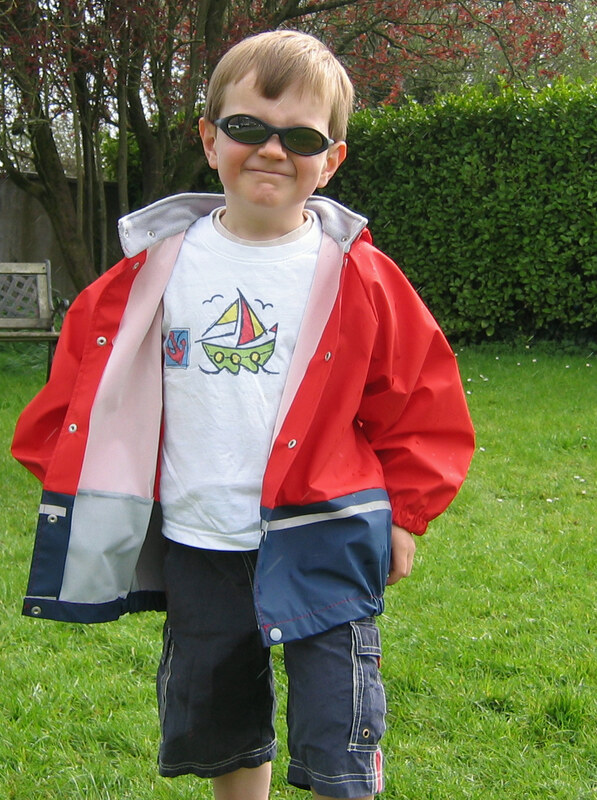 Our son Jake has always been our chief model for showing off the PuddleDucks gear. In fact, he was the inspiration for starting our business. 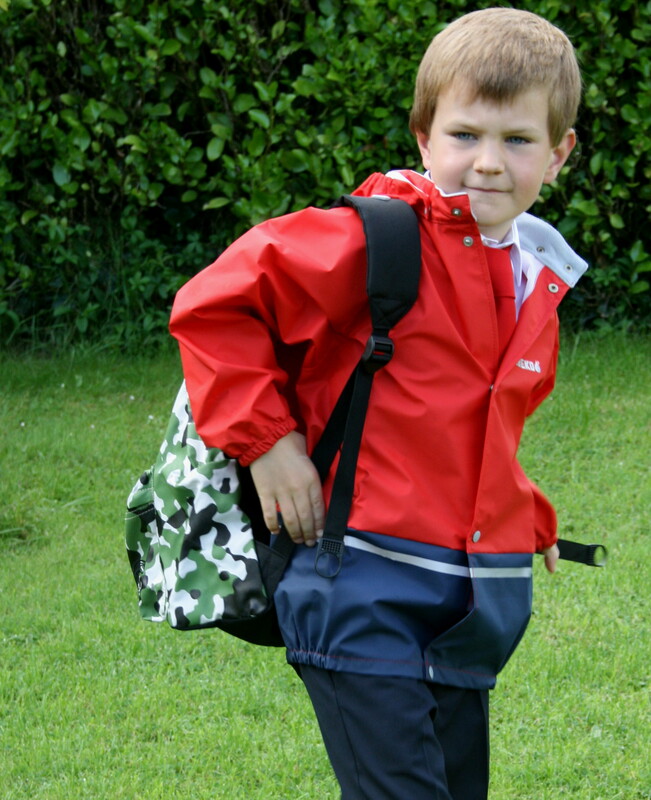 When we started PuddleDucks early in 2005, Jake was nearly 4 – he’s now 9. So here’s a quick look back Jake’s modelling career from the past five years. 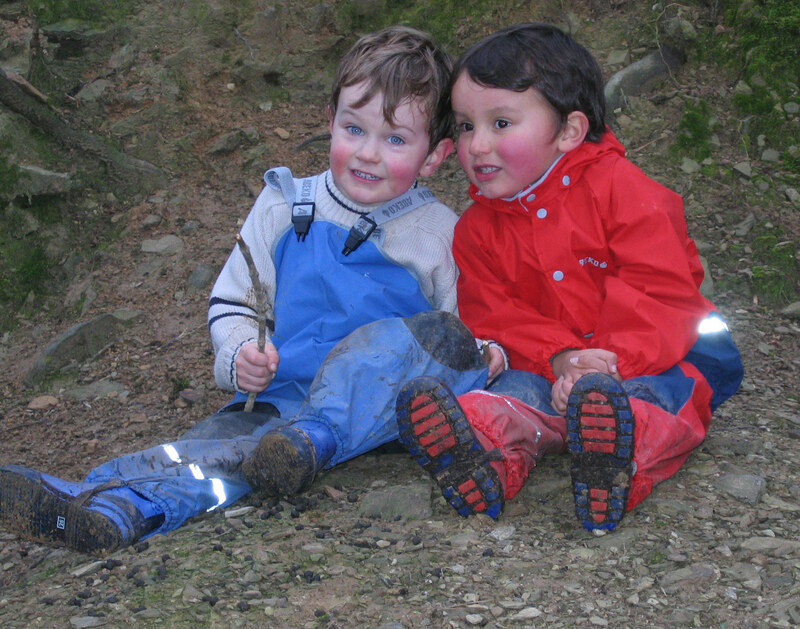 Starting with one of our early photos showing him having fun in Currabinney Woods with his friend, Dougie. Jake is wearing his first pair of Everyday Dungarees. 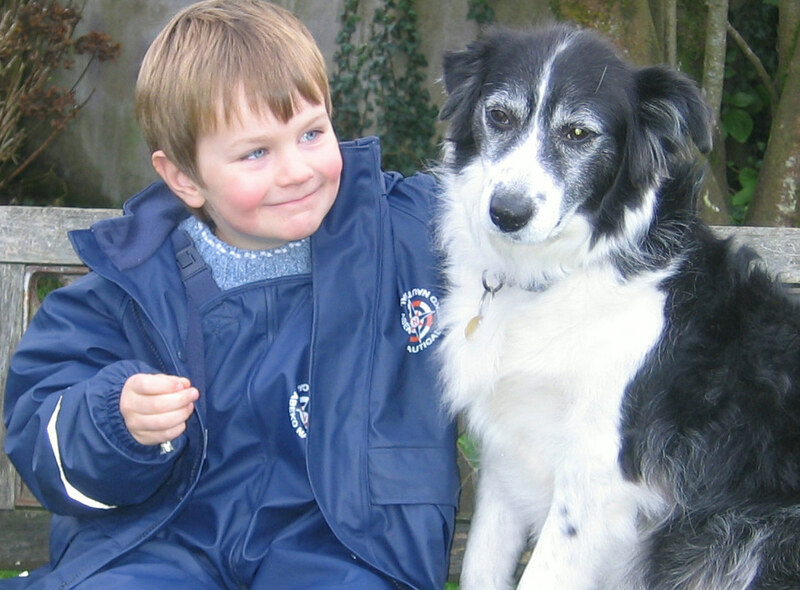 In 2006, Jake is posing with our lovely dog, Rory in the garden. In 2008, Jake is showing off our back to school jackets and bags. 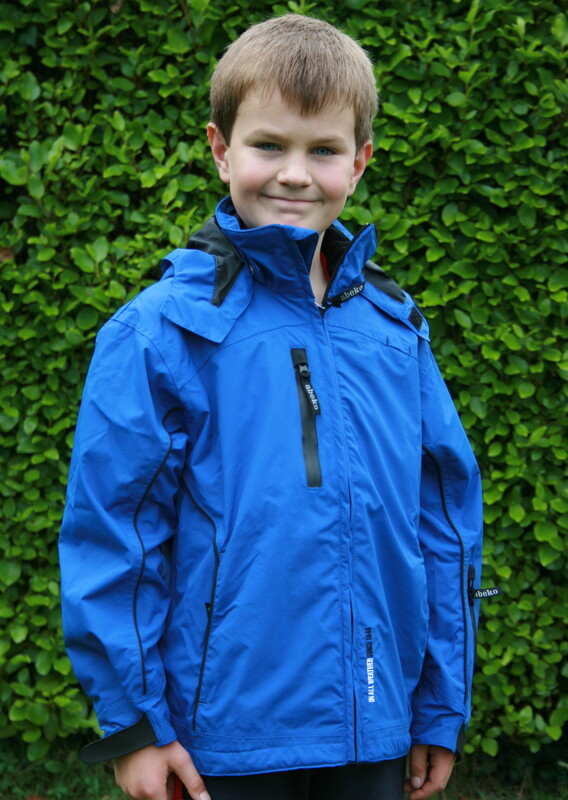 And finally here he is last week, showing off our new Blue Impact Jacket.